When you restrict your caloric intake, your conscious mind knows that you’re doing it on purpose, but the rest of your body doesn’t. When caloric intake goes down, your body assumes that it’s due to a lack of food, so your survival response kicks in and your body starts to hold onto body fat, stop building muscle and burn calories very slowly. 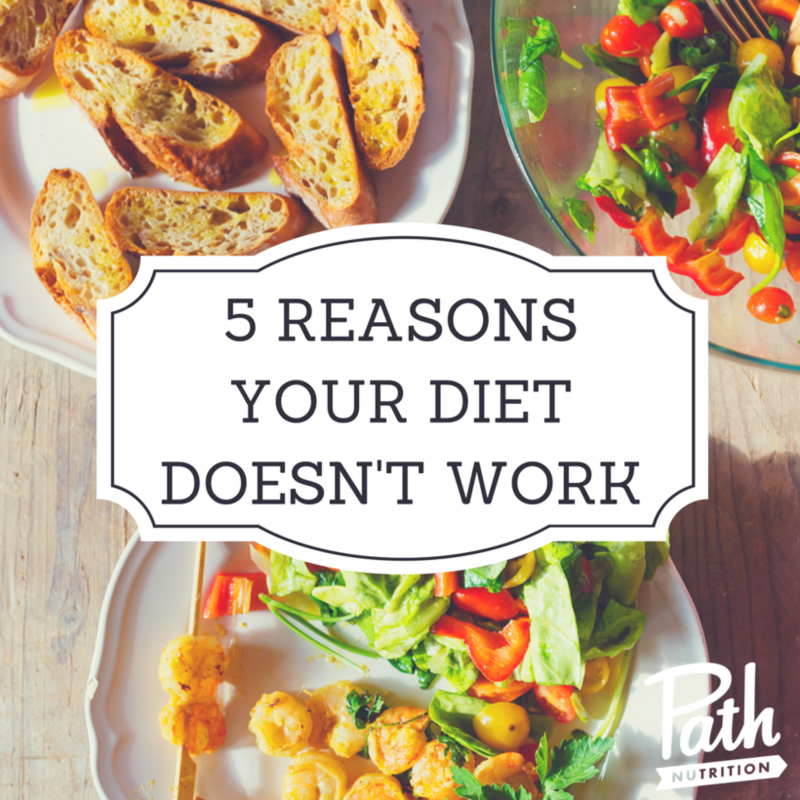 So instead of burning fat, low-calorie diets actually cause your metabolism to slow down. Sustainable weight loss requires a plan that meets all of your body’s caloric and nutritional needs. As you make better informed choices, your body will begin to change at a healthy rate. Usually when you hear “circadian rhythm,” you associate it with your sleep cycle, but the circadian rhythm is also tied to digestion and nutrition. Diets that alter your natural eating patterns confuse your body, which, again, triggers the survival response and causes you to hold on to calories. In order to maximize your metabolic cycle, you need to consume the bulk of your calories at midday when the sun is highest in the sky. When dieting as an industry came onto the scene, the big boogeyman was fat. Diet “science” was founded on the erroneous belief that fat in your food directly translated to fat in your body. Fats are essential to life. You need them for optimum health and bodily function. In fact, many of the negative side effects associated with dieting can be linked to a fat deficiency. Fat deficiency can lead to constipation, dry skin, brittle hair and nails, digestive issues, fatigue, brain fog, and irritability. So not only are you not losing weight, you’re making yourself feel crummy. Food is awesome. Food connects us to our past, to different cultures, to our community and to our environment. Unfortunately, dieting puts us at odds with food and trains us to have an adversarial relationship with something that should be a daily pleasure. Having a negative relationship with food stresses us out, raises our daily cortisol and insulin levels and causes us to hang onto weight. At Path Nutrition, we teach our clients to enjoy eating, cooking and learning more about how their bodies process food. There’s a reason that we love eating. We feel pleasure when we eat because we need food to survive. If you deny yourself the simple pleasure of eating, your body responds by becoming more hungry, for both calories and those good feelings. Once again, dieting causes us to act against our natural urges, creating stress and triggering our body’s survival response. Jessica Pearson, co-founder of Path Nutrition. Path Nutrition helps others build a positive relationship with their body and food through education and support. Jessica is a trained Chef and Eating Psychology Coach. Paired with a Functional Medicine Dietitian, Path Nutrition offers nutrition counseling, lab testing, and a popular online course. When Jessica isn't working or writing about nutrition, food, and spas she enjoys live music, dancing, and relaxing at the nearest swimming hole or beach.